We're all curious about how many Apple Watches Apple has sold, but with the company opting not to break out its Apple Watch sales numbers, all we have to go on are analyst guesses, information distilled from third-party sources, and tidbits of data that Apple has provided. The latest data that hints at how the Apple Watch has fared comes from The Wall Street Journal, citing shipment information provided by analyst Mark Li from Taiwan's Advanced Semiconductor Engineering Inc. (ASE) most recent earnings call. ASE is the company that builds the S1 package housing the many chips and sensors used in the Apple Watch. An ASE subsidiary reportedly failed to meet its "break-even volume" of two million units shipped per month during the second quarter and does not believe it will meet that target in the third quarter, either. The company's failure to meet this target suggests the Apple Watch "is not selling nearly as well as some analysts expected," says The Wall Street Journal. "The shortfall of Apple Watch is a disappointment," Mr. Li wrote in a note to clients. "We came in with a low expectation but below break-even still surprised us." In an interview, Mr. Li said it is unusual for a company like ASE not to reach break-even volume during a typically busy period like the third quarter, especially when dealing with a new product. He said that he now expects ASE to fall short of his forecast of shipping 18 million units this year, peaking in June. Ahead of Apple's recent earnings call, analyst estimates of Apple Watch sales during its first quarter of availability ranged from 2.85 million to 5.7 million, averaging out to 4.07 million. After the call, many analysts adjusted their estimates, with the consensus largely changing to between 2.2 and 3 million units sold. Estimates continue to vary, however, with Strategy Analytics suggesting Apple sold 4 million units in a recent report. During the call Apple CEO Tim Cook said Apple Watch sales "exceeded [Apple's] expectations," despite supply continuing to trail demand at the end of the quarter. "We feel really great about how we did," he said. Apple CFO Luca Maestri hinted current revenue from the Apple Watch was "well over" $952 million, but he also did not provide insight into sales. In the past, Tim Cook has warned against attempting to infer information from single data points from the company's supply chain due to its complexity. we're expecting it to be below our expectations. then another analysts analyzes the analysts expectation of the expectation and realizes it's below the expectation of the expectation. Predicts random hypothetical number in totally new category. Upset when hypothetical number hypothetically isn't met. lol. $600 - it's an overpriced notification band. NO THANKS! It's too bloody expensive! There are certainly other issues with it too but the one I liked (stainless with links) was $1400. That's more than the top model iPhone 6+. Don't know how many they sold, don't care. Went to the grocery store today and realized after I checked out I'd left my wallet at home and I started to freak a little (the line of people behind me was quite long) and then I saw the NFC symbol on the CC terminal and used Pay on my Watch. Saved the day! Also tracked my walk home, and controlled my music. i LOVE the Watch. Also love the look on peoples faces when I used the Watch to pay. I know that sounds a bit petty, and I'm sorry, but it's true. Still sold more than Samsung. Apple ('http://quotes.wsj.com/AAPL') Inc. ('http://quotes.wsj.com/AAPL')has cut its orders for components for the iPhone 5 due to weaker-than-expected demand, people familiar with the situation said Monday. Apple's orders for iPhone 5 screens for the January-March quarter, for example, have dropped to roughly half of what the company had previously planned to order, two of the people said. Do people really expect millions to suddenly start wearing watches just because of the Apple Watch? 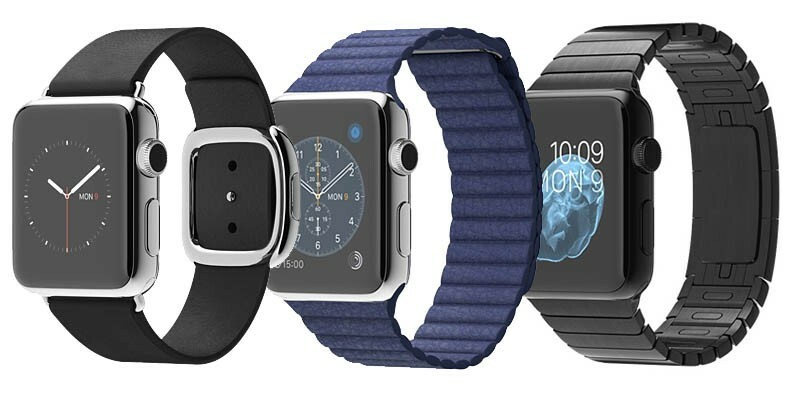 Let's be honest with ourselves and admit the Apple Watch is a flop (so far). Maybe we need to figure out what the definition of "flop" is. Is it selling more smartwatches than all other smartwatches combined... in just 3 months? Is it bringing in almost a billion dollars in revenue? Is it exciting thousands of developers to add Watch functionality to their apps?